I have been working in diagnostic radiology since 2001 and am board certified in Germany since 2009. In 2011, I became an associate professor at the Medical School of the University of Erlangen-Nuremberg. Since 2011, I am the Head of Radiology of a total of 17 Inpatient & Outpatient Radiology Centers with more than 20 radiologists and 150 technicians, covering all diagnostic fields and modalities. 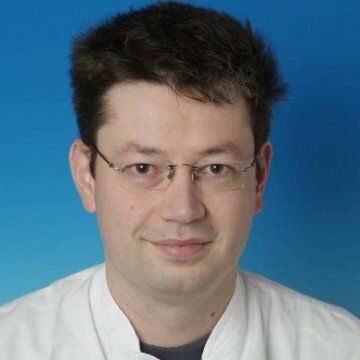 I graduated from the medical school of the University of Erlangen in 2001 and completed residency at the Institute of Diagnostic Radiology in 2009. I completed several observerships at the University of Pittsburgh, USA (Diagnostic Radiology), University of Melbourne, Australia (Neuroradiology) and Hacettepe University of Ankara, Turkey (Non Vascular Interventional Radiology). I published 30 papers in peer reviewed journals and delivered more than 100 invited talks/lectures/oral presentations throughout the world. I am a reviewer for several national & international peer reviewed journals (JMRI, AcadRad, AIMA, ER, EJR, DIR, RöFo). I am a member of several national & international radiology societies and also a member of the German National Mammography Screening Program. My scientific focus is on cross sectional imaging modalities, new imaging technologies, breast and prostate cancer staging (BIRADS, PIRADS), pediatric imaging, parotid gland tumors, and vasculitis. I have suffered from abdominal pain for several years that has progressively gotten worse. During this time I have had MRI's, CT's and ultrasounds that I went through in the evaluation for the cause of my pain. The results have come back normal on everything but since the pain has gotten worse I started searching for second opinions online since I never got the full written reports on the studies and hence never knew if there were any additional findings other than what they were specifically looking for that was mentioned. I got a very thorough and well explained report back from Mr Alibek that pointed out that I had a dilated artery in my abdomen and I took this information back to my original doctor and I am now waiting for a referral to an angiologist. I am very pleased with the speed, convenience and simplicity of this service.